Few years ago, Blogging was only an interest and passion. Now it is changed from interest to an online business. There are so many successful bloggers earning full time income from their blog. I am sure you already know few successful full-time bloggers. But, never dare to think that earning from blog is easy. Like other business, it also needs planning, knowledge of SEO, writing skills and time management. If you also have interest in blog and want to earn passive income, you are at right place. In this post, I am going to discuss how to start making money from your blog. There are the few things which you should follow to have a successful blog that earns well. If you are thinking to start earning money from your blog, you should start making your blog look professional. Buy a Top Level Domain (.com, .net, .org, .info or any other). If you are using free domains such as .blogspot.com, or wordpress.com, it can also work. But many advertisers hardly approve sub-domain blogs. After purchasing, domain name, you should select good blog design, If you are using blogger, you can find good good blogger templates. If you are using WordPress, go for attractive WordPress themes. Themeforest is the most popular marketplace for themes and templates. Before writing each blog post, do a proper research and decide the topic. Always write things which are valuable to your readers and give some knowledge. If people like your posts, they will surely subscribe your blog and will come back to read your future posts. It will also help you to maintain the authority of your blog and make few good readers. Most common mistake which people generally do is poor writing. You should know how to express your thoughts in correct manner. Grammar and spelling mistakes can ruin your blog. Google Panda update also hits blogs with poor writing. So, cross check each post before publishing it. I recommend using MS word for writing and spell checking the post. It helps in detecting grammatical errors too. 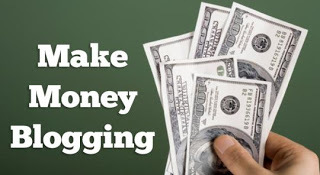 This is the must have thing if you want to earn money from your blog. If you do not have traffic, you will not be able to earn single penny from your blog. So, after writing the post, you should try to get some visitors. There are few recommended ways to increase daily traffic of your blog. Use of social media website is the most popular way of increasing the traffic of new blog. So, create Facebook fan page, twitter account and Pinterest account to share your blog posts. If people like your post, they will also share your posts. If any of your post goes viral on social media, you are lucky. Stumbleupon and Reddit are also one of the best sources of traffic, but you should learn how to properly use these social media websites. SEO of Search Engine Optimization is the must know thing. You should know how to write blog posts that rank well in Search Engine. For this, learn SEO and learn how to write search engine friendly blog post. You should also know how to keep Google friendly website structure to get good listing and ranking. Do proper Keyword research before writing blog posts. Google performs keyword based searching. If you do not use keywords that are being searched by millions of people, you blog post will never get exposure. When your blog starts getting good traffic (at least 200 visits per day), you can start monetization. Apply for Google Adsense, best advertising network. In start, you may get rejection. So, you should learn few ways to get adsense account approval easily. In case, Google is not approving your blog for Adsense program, you can try other Adsense alternate adnetworks to start earning. If you get Page Rank 2 or above and Alexa linking more than 150, you can also apply to BuySellAds. The key thing is the traffic of your blog. The more traffic you have, the more money you can earn. So, Try to learn SEO and start promoting your blog online.